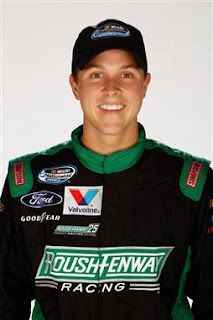 Since joining the NASCAR Nationwide Series, Trevor Bayne has yet to run a full schedule. A mixture of personal illness and sponsorship woes have forced the Tennessee native to sit out large chunks of the season waiting for his next opportunity to get behind the wheel. Originally slated to drive the No. 60 on a full-time basis in 2012, Roush-Fenway Racing has struggled to find sponsorship for Bayne. Friday’s race will mark his sixth event on the NNS schedule this year. “I’m really excited to be back at Bristol. It’s our home track and there’s no better color to run here than Tennessee orange, so it’s a perfect fit with Pat Summitt being on the car and really just raising awareness for her and Alzheimer’s with the situation she has going on, but I feel honored that I get to represent Pat Summitt.,” Bayne told reporters at Bristol Motor Speedway on Friday. His last trip to BMS was in March where he finished eighth after starting second. Bayne will also return to the Sprint Cup Series in 2013, running a limited schedule in the No. 21 Wood Brother’s Ford.